Multimedia Suite, a professional media conversion apps suite which includes Blu-ray Ripper, DVD Ripper, DVD Copy and Video Converter. With its compositive and powerful function, users could rip or convert Blu-ray movies and DVDs, convert various video/audio formats what they want, copy or backup Blu-ray movies and DVDs to Blu-ray discs, DVD or Hard disks, extract audio files from Blu-ray, DVDs or videos for converting and burn them to music CDs. 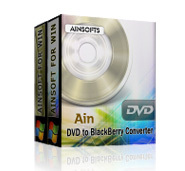 BlackBerry Converter Suite, an awesome BlackBerry conversion apps suite that includes DVD to BlackBerry Converter and BlackBerry Video Converter. Using this professional BlackBerry apps, you can not only rip or convert DVD to AVI, 3GP, MP4, AMR, MP3, AAC and WMA for BlackBerry supported, but also convert AVI, MPEG, MP4, WMV, MKV, MOV, FLV, SWF, and RM. to BlackBerry 8500, 8900. 9000 and BlackBerry 9550, 9700, etc. FLV Converter Suite, an awesome FLV conversion suite that includes DVD to FLV Converter, FLV Video Converter and Free YouTube Download. Using this professional FLV apps, you can not only rip or convert DVD to FLV(Flash Video) and SWF, but also convert the most popular video formats to FLV or SWF, such as convert AVI to FLV, MPEG to FLV, MP4 to LFV and WMV, MKV, MOV, RM, 3GP to FLV, etc. Also freely download and enjoy FLV video from Youtube, Myspace or any other online video sites. 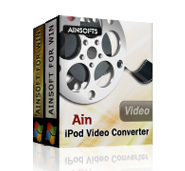 iPod Converter Suite, an awesome iPod apps suite that includes DVD to iPod Converter and iPod Video Converter. iPhone Converter Suite, an awesome iPhone apps suite that includes DVD to iPhone Converter and iPhone Video Converter. Using this professional iPhone apps, you can not only rip or convert DVD to AVI, 3GP, MP4, AMR, MP3, AAC and WMA for iPod supported, but also convert the most popular video formats to iPhone, then enjoy various videos on your iPhone, such as convert AVI, MPEG, WMV, MKV, MOV, FLV, SWF, RM, to iPhone. etc. MP4 Converter Suite, is positively a great apps suite that includes DVD to MP4 Converter and MP4 Video Converter. Using this professional MP4 apps, you can not only rip or convert DVD to MPEG-4(*.MP4), H.264(*MP4) for MP4 players supported, but also convert MP4 video to the other most popular video formats, then enjoy various other formats video on more devices, such as converts MP4 to AVI, ASF, FLV, SWF, MPEG, MKV, MOV, WMV, RM, 3GP, etc.